Superdry men’s Big Rig trucker cap. Featuring a high build Superdry logo on the front, a mesh back and rear fastening to ensure ultimate comfort. 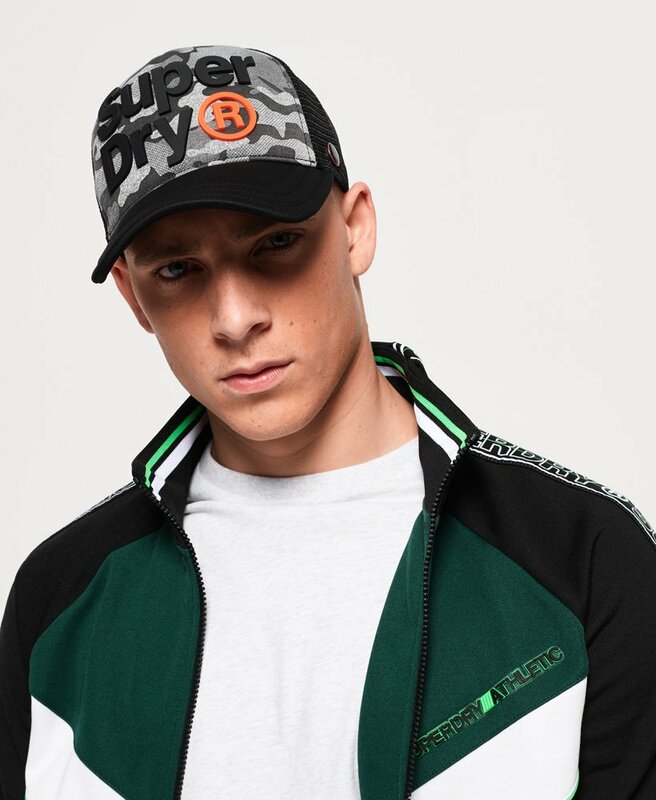 The Big Rig trucker cap is completed with a Superdry logo badge on the side.